March 11, 2018 Directive regarding joint-holding of minimum 30% shares by sponsors/promoters and directors. June 13, 2017 Bangladesh Securities and Exchange Commission (Exchange Traded Fund) Rules, 2016. October 27, 2016 Bangladesh Securities and Exchange Commission (Qualified Investor Offer by Small Capital Companies) Rules, 2016. 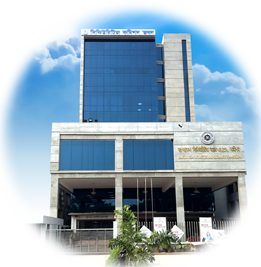 December 31, 2015 Bangladesh Securities and Exchange Commission (Public Issue) Rules, 2015. June 11, 2015 Exemption to the foreign owned companies and the joint venture companies with foreign investment from the compliance of the provision to public limited and listed company. August 10, 2014 Notification Regarding Exemption from Condition No.2 of the Consent Letter dated 29 October 2003 for Lafarge Surma Cement Ltd.
May 28, 2014 Notification Regarding Exemption from a condition of Corporate Governances Guidelines for ICB. October 24, 2013 Circular Regarding listed Companies AGM. July 24, 2013 Bangladesh Securities and exchange Commission (Research Analysis) Rules, 2013. July 21, 2013 Amendment of Corporate Governance Guidelines. November 28, 2012 Directive to repeal clause 2 of the directive No. SEC/CMRRCD/2001-43/169 dated October 01, 2009. October 02, 2011 Notification-Conditions under Section 2CC in case of issuance for the Security other than rights and bonus share. September 21, 2011 Order related to sell of shares of Sponsors/Directors/5% and above share holders. September 15, 2011 Order related to Uniform face value of shares of Tk. 10 each. September 15, 2011 Order related to Mutual Fund. August 30, 2010 Directives to merchant bankers and stock brokers about limit of 50% of NAV of MF instead of 15%. March 11, 2010 Notification related to mutual fund units lock-in. October 26, 2009 Directive to merchant bankers, portfolio managers to stop further margin loan to purchase shares of for Aftab Automobiles Ltd.
October 26, 2009 Directive to DSE, CSE about purchasing shares of Aftab Automobiles Ltd.
December 01, 2008 Directive relating to transaction of physical shares, circuit breaker and suspension of trading. August 14, 2008 Amendment to the Securities and Exchange Commission (Stock Dealer, Stock Broker & Authorized Representatives) Rules-2000. June 30, 2008 Documents for BO account regularization. June 16, 2008 Amendment to the Securities and Exchange Commission (Custodial Service) Rules-2003. June 16, 2008 Amendment to the Securities and Exchange Commission (Merchant Banker and Portfolio Manager) Rules 1996. June 16, 2008 Amendment to the Securities and Exchange Commission (Mutual Fund) Rules-2001. March 28, 2001 Regarding amendments in the Securities and Exchange Rules, 1987. March 28, 2001 Regarding SEC's conditions relating to the appointment of auditor. March 28, 2001 Regarding exemption. March 28, 2001 Rescinding Order No.SEC/Section-7/Cap.Sanction/99-144 dated 18th May, 1999. March 25, 2001 Regarding conditions in buying or selling or disposing off the shares held by the sponsor or director.